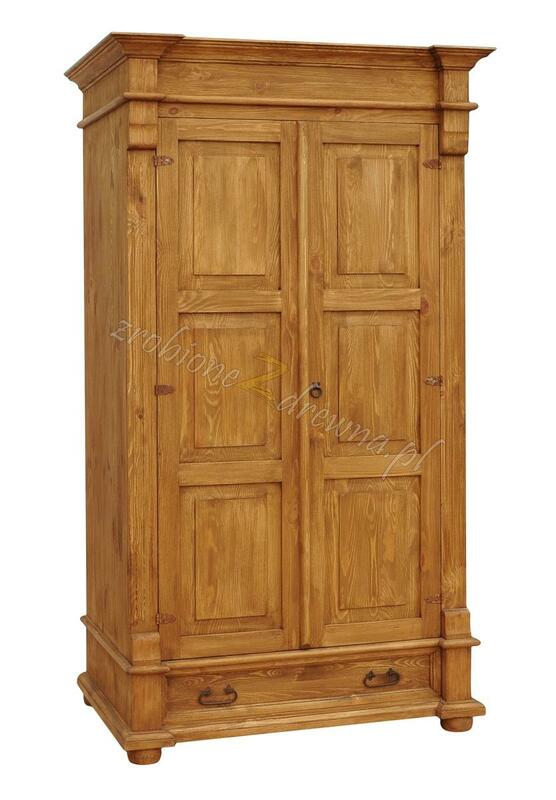 Pine furniture, Wood furniture - Wardrobes, Sideboards, Beds. Manufacturer. 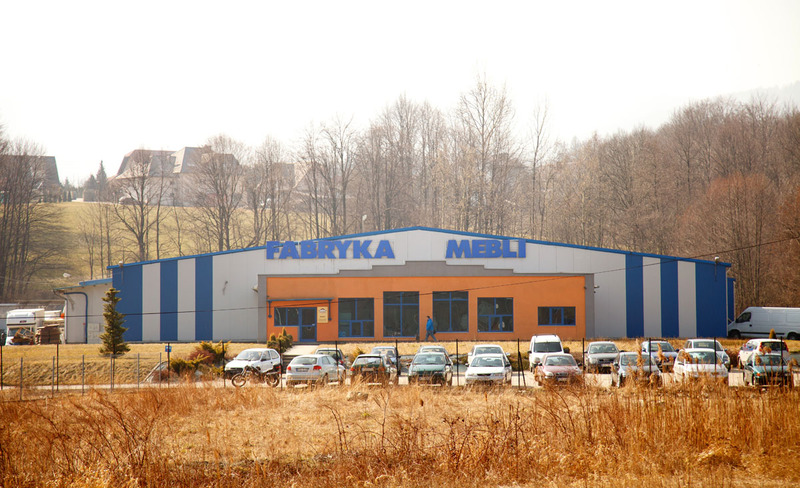 Our company is an experienced furniture manufacturer operating in Poland. 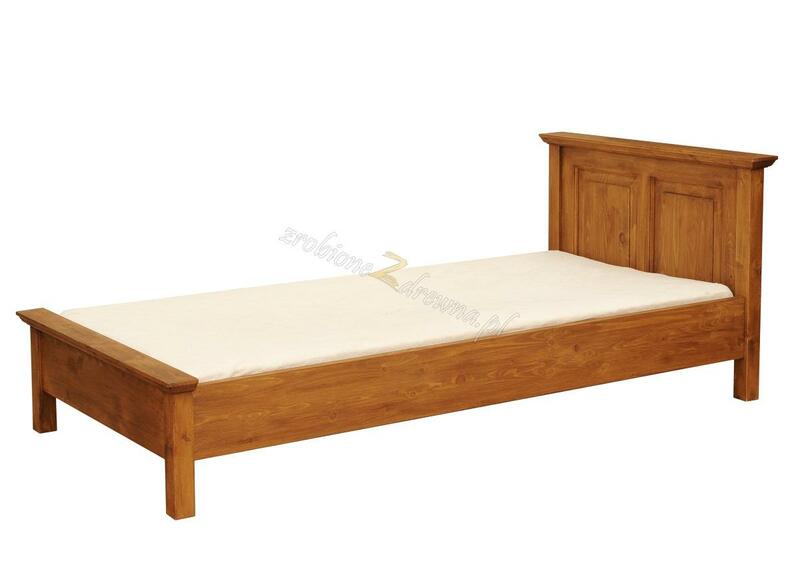 We provide pine and birch furniture of the highest quality. Our mission is to continually improve our products and services to meet or exceed the expectations of our customers. Professional woodworking machinery and our own sawmill guarantee the best quality of our products. By using our own transport fleet, we can arrange quick and safe delivery to any place in Poland and abroad. We hire qualified staff from a local carpentry school with the expertise and experience needed to ensure the best quality of our furniture. 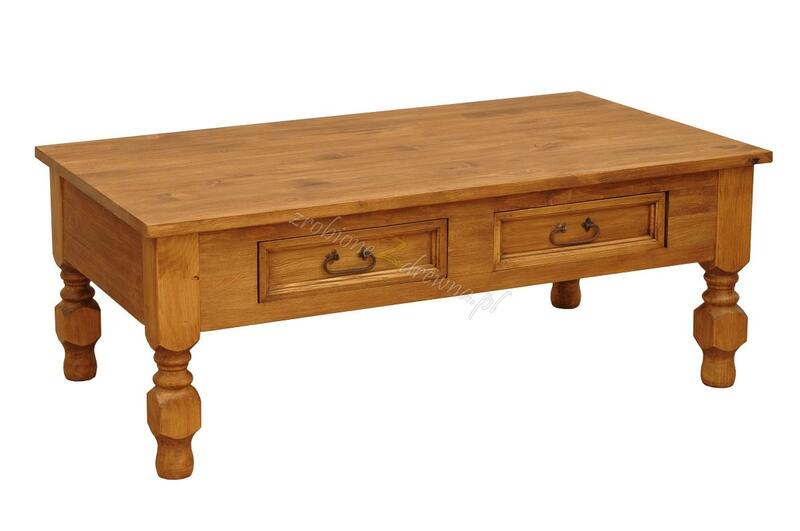 Shop for our large selection of wood furniture! 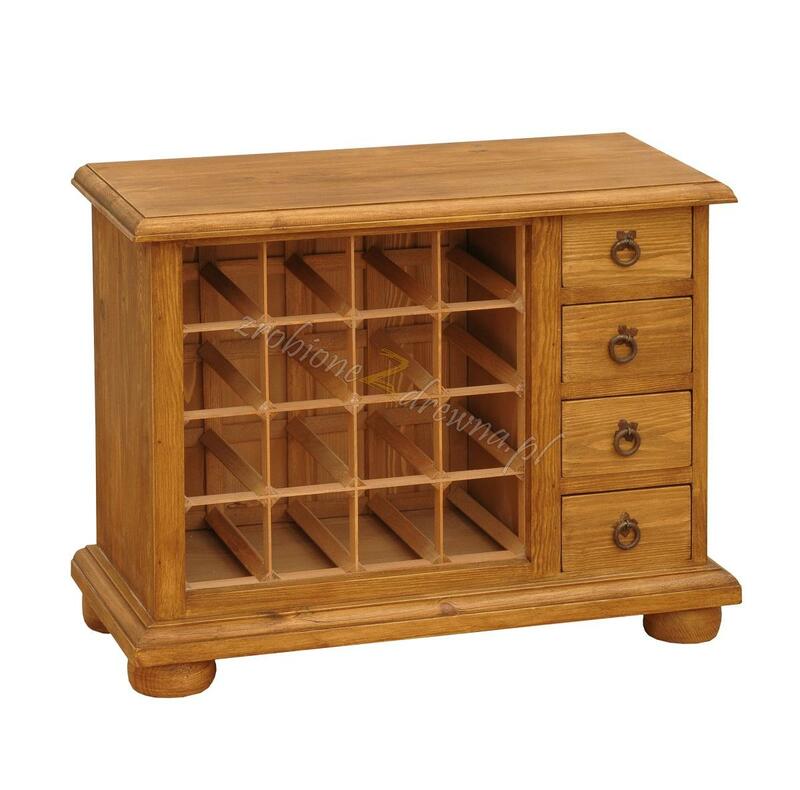 Why choose our wood furniture? 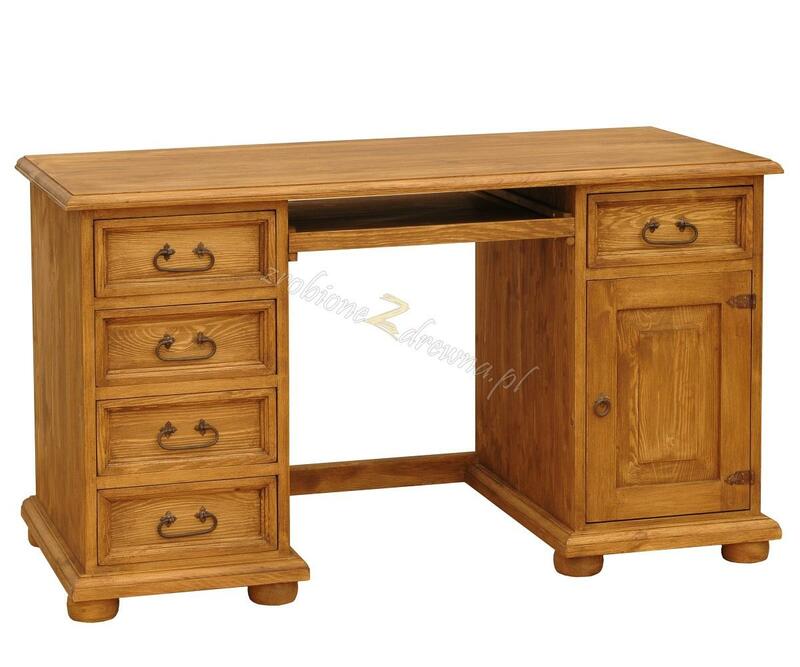 Wood is a wholly natural material, that is why wood furniture is ecological and healthy. It is also very durable and resistant to sun and humidity. Also, different varieties of wood make each piece unique and presentable in every room. 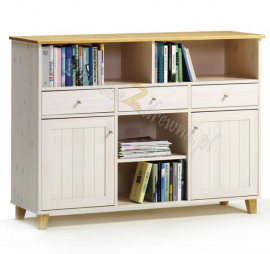 We have extensive experience in manufacturing pine and birch furniture. The wood we use in the production process comes from our own sawmill, which guarantees the best quality of materials. 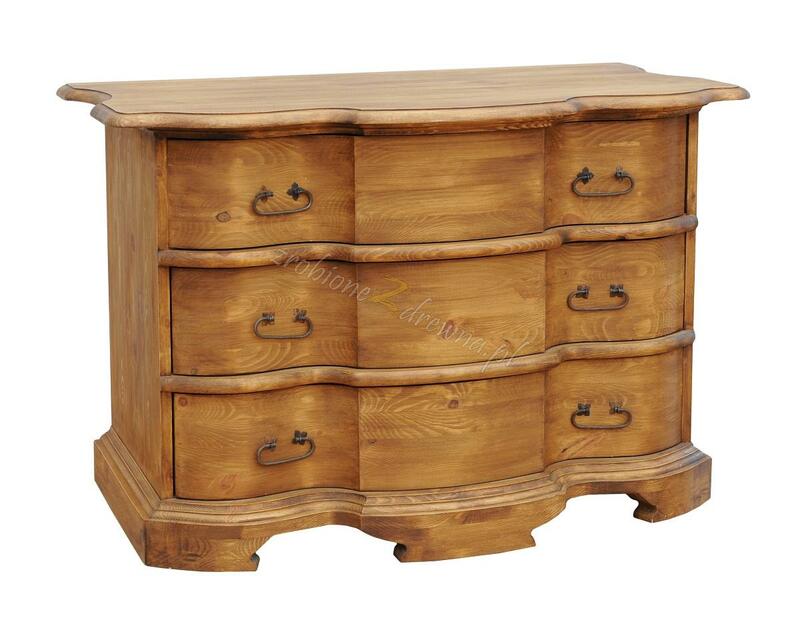 Pine is one of the most popular furniture materials. It is known for its affordable price and wide range of colours. 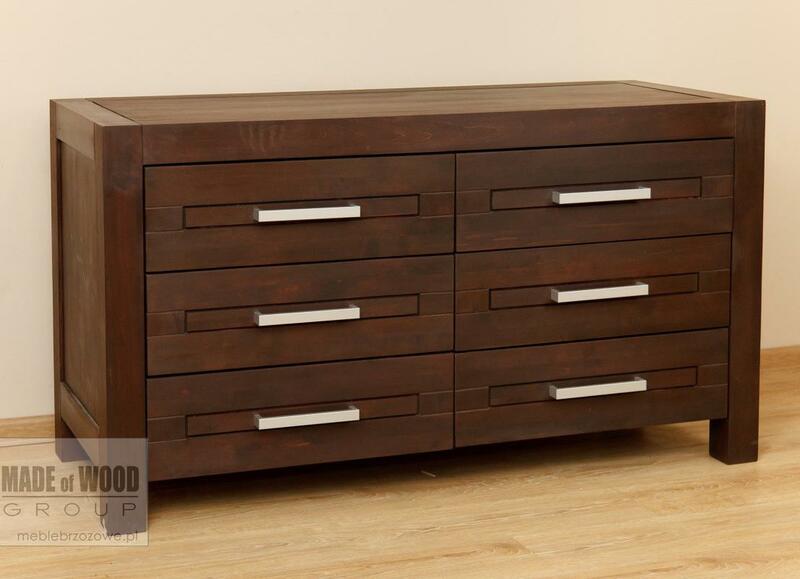 Carefully selected ecological lacquer finishes bring out the natural beauty of pine wood and add to its classic look. Our mission is to continually improve the quality of our products and services. Customer satisfaction is the key factor in our business approach. We also provide transport and assembly services in Poland and most EU countries. We produce exquisite furniture with a unique design that suits modern interiors. We recommend our collections and guarantee that they will give a fresh touch and beauty to your home. 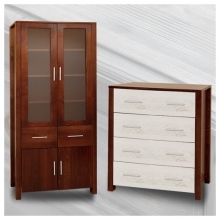 The Hacienda Collection enjoys great popularity among lovers of wood furniture. The careful selection of tree rings and knots, together with natural wax, creates an antique look similar to colonial furniture produced 100 years ago. The choice of rusty hinges and handles is of great significance as they add the finishing touch and enhance the beauty of the collection. 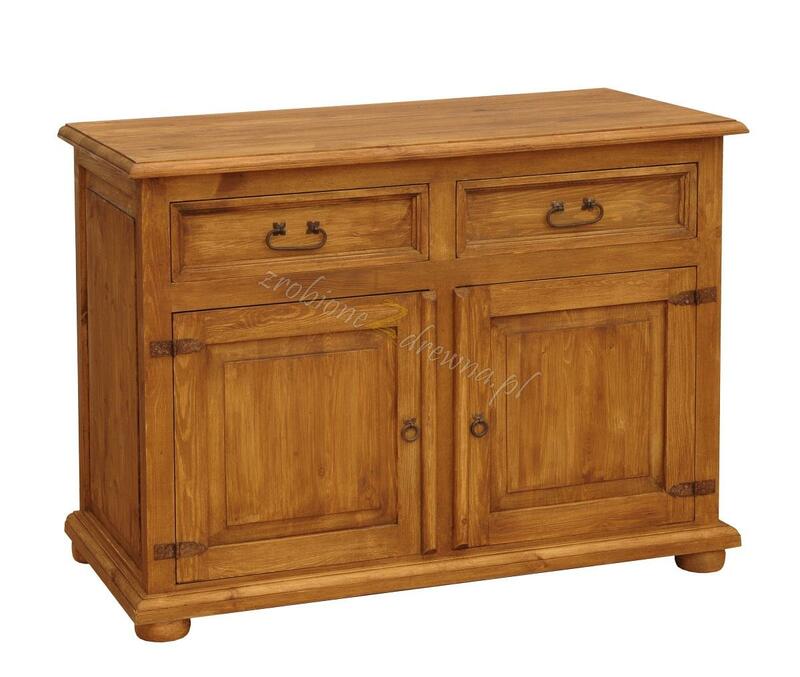 Hacienda furniture is finished entirely with natural beeswax or wax oils. Hacienda pieces are available in a few colours. They are often finished in two-tone colours, e.g. top sections finished with oak wax oil and the remaining parts finished with white wax oil. Hacienda products can be structured. 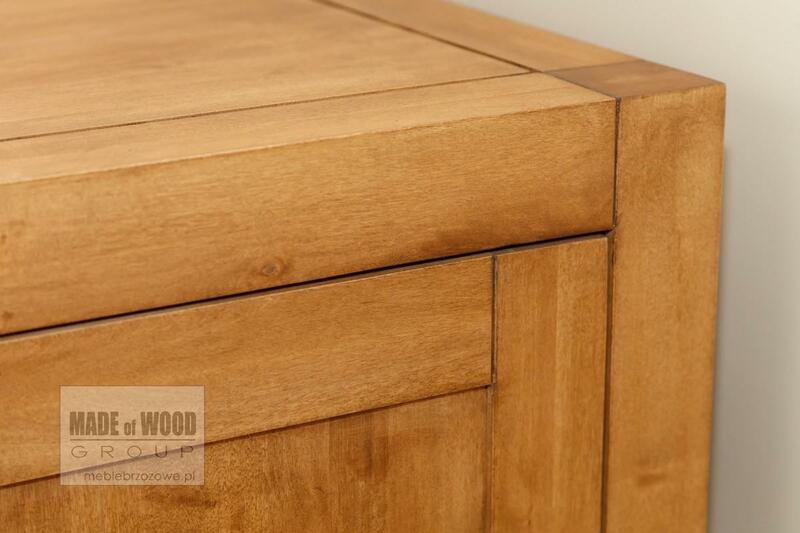 Structuring of wood surfaces is the process by which the softer wood is removed, leaving only the harder wood. As a result, furniture surfaces become uneven and rough, and have an aged and rustic look. Wood structuring is done by hand, not a machine. Each wood surface has a different pattern, making it necessary to use tools of various brushing parameters. As a result, the Hacienda collection consists of a limited number of unique pieces that cannot be found in large retail stores. Hacienda products can also be custom-made. Birch wood is a hardwood that is very strong and durable. 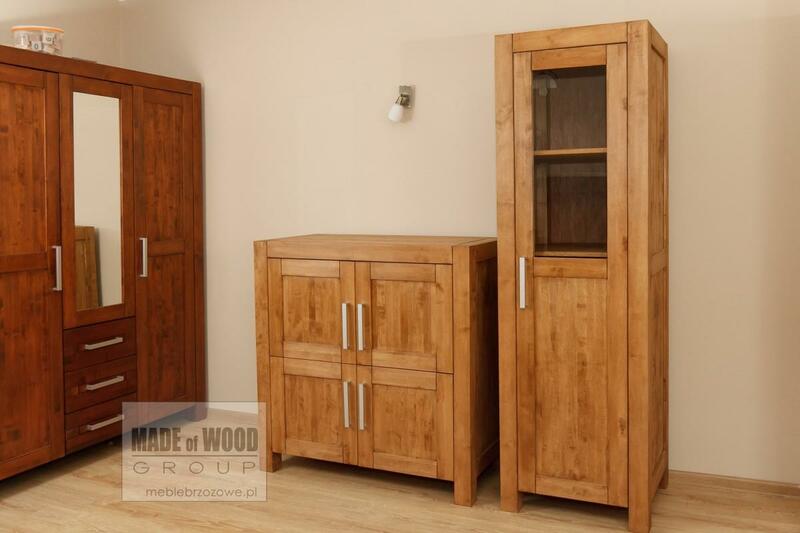 Because it is difficult in machining, birch wood is still rarely used as a furniture material on the UK market. 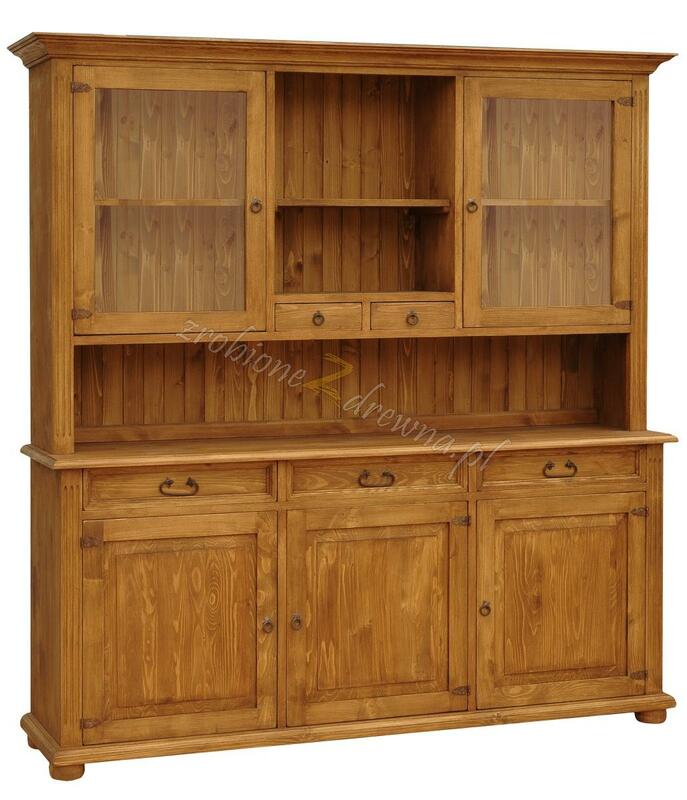 However, its grain patterns and beautiful natural finish make for some unique and interesting-looking furniture. 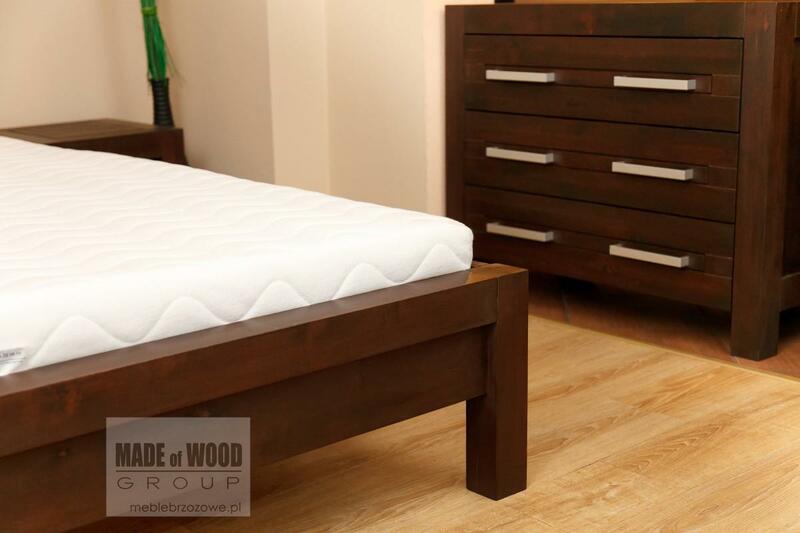 Another great advantage of birch wood is its hardness and resistance to cracking. 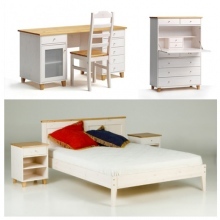 The Rodan collection consists of simple furniture with a modern design. 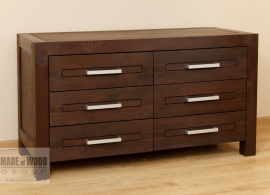 All of the furniture parts, including shelves and drawers, are made of 100% solid wood. 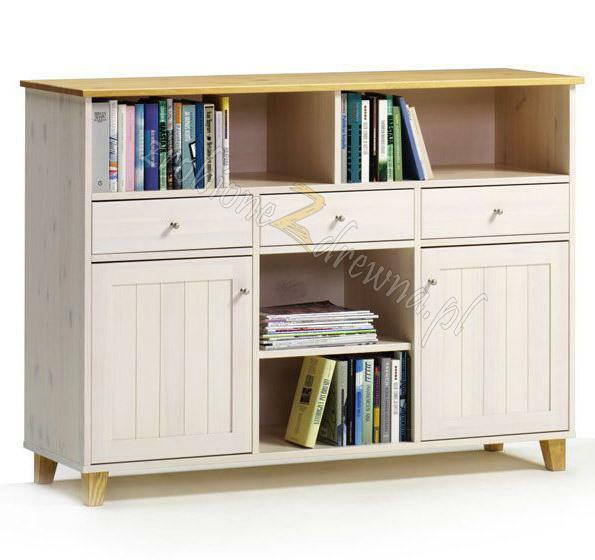 The only elements that are made of birch plywood are the drawer bottoms and furniture backing so as to reduce the weight of the furniture. 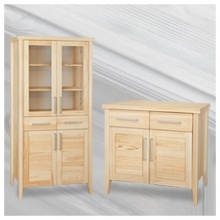 Commonly used birch wood finishes include natural beeswax and wax oils. Our finishes do not only bring out the natural appeal of birch wood, but also protect it from the sun, water and dust. 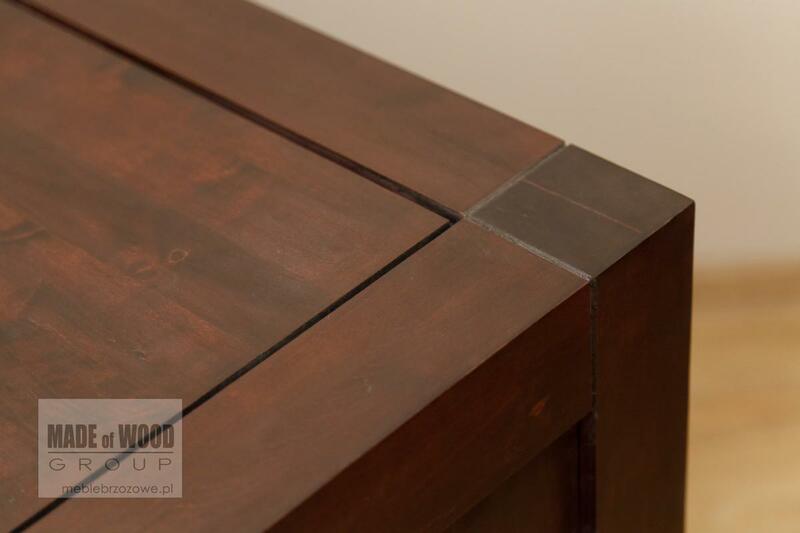 At the same time, and unlike lacquer finishes, our finishes let the furniture “breathe”. The Rodan collection consists of unique, handmade pieces that cannot be found in large retail stores. We produce furniture in any size and combination based on individual orders and tailored to the requirements of our clients. The furniture sets presented on our website are merely a suggestion and a starting point for your dreams and ideas concerning home décor. 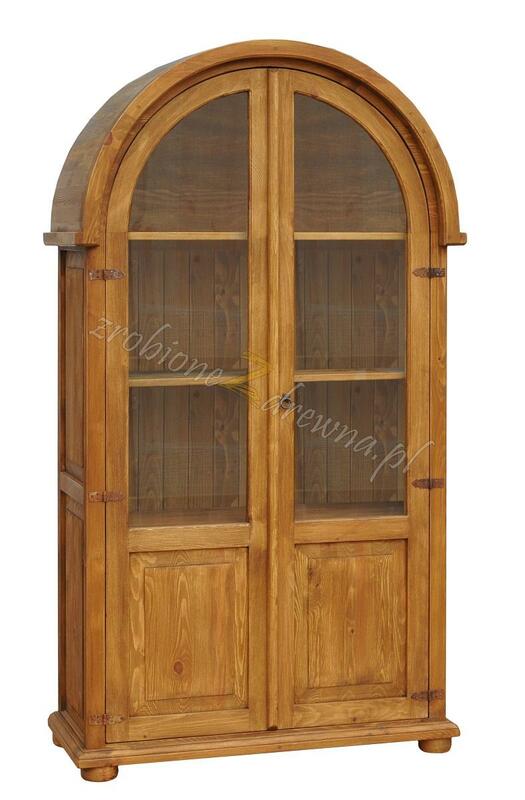 We would like to present our latest collection of pine furniture. The Siena pieces are characterized by straight lines combined with thin and delicate top sections, forming a light construction with a natural look. 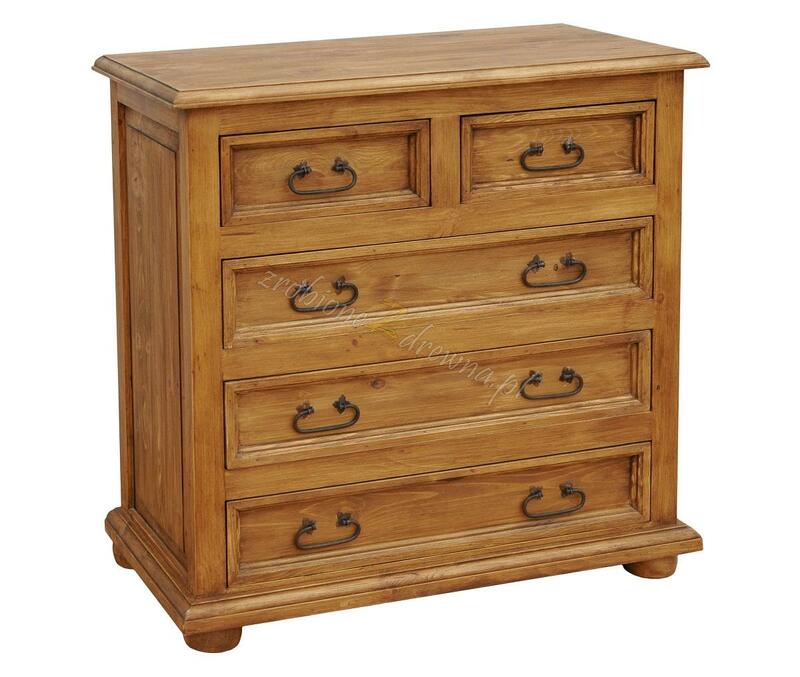 Sharp endings, thick and tapered legs, and plain drawers, as well as delicate metal knobs, were designed to create a modern furniture collection that is original but not too imposing. With its neutral style, the Siena Collection is a great addition to an elegant interior. All elements of the collection are produced from solid pine. 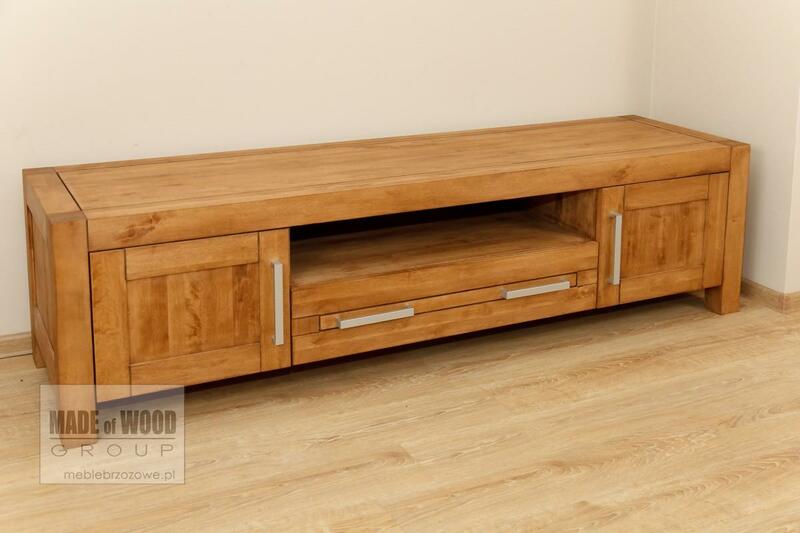 The wood used in the production process is carefully selected to ensure beauty and durability. 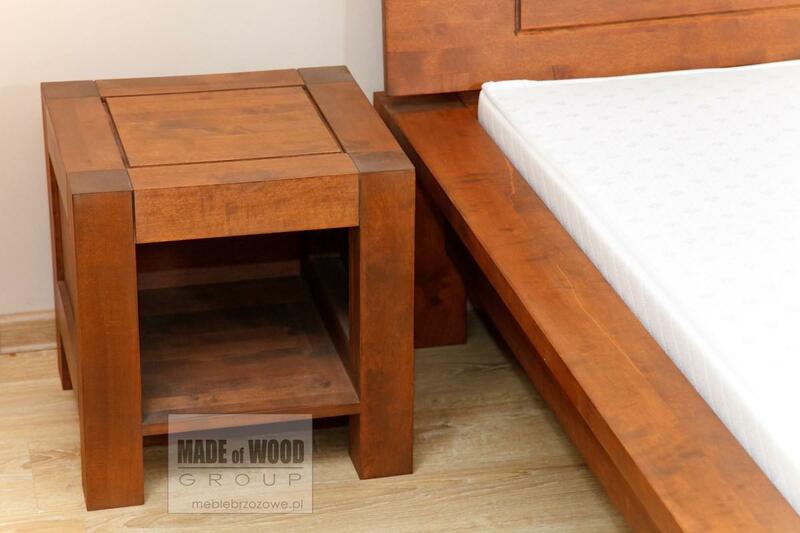 We guarantee our furniture is a great investment that you will enjoy for many years to come. 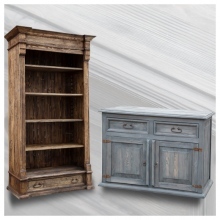 Wardrobes, sideboards, and beds, as well as other pieces of the Siena Collection, are normally finished in two contrasting colours, with dark top sections and legs and the remaining elements lighter in color. An example of such a colour combination is presented in the image. Siena pieces can be finished in any colour found in the chart at the top. Upon request, the pieces can be finished with either wax or varnish stain of any colour found in the chart. We highly recommend the Siena Collection and invite you to contact our sales department with any inquiries.